This little highlight is so cutely packaged (I appreciate the fact the The Balm still makes an effort in packaging their samples!) and the highlight itself is a beautifully subtle shade. I’ve been using it to highlight both the cheekbones and brow bone and love its versatility! Another item that I was thrilled to receive - especially since I’ve noted in my ipsy profile that I love receiving skincare products! I’ve been a huge fan of exfoliating products lately and this one is no different - it leaves the skin feeling so smooth! Always love receiving a good skincare product in my subscription boxes! 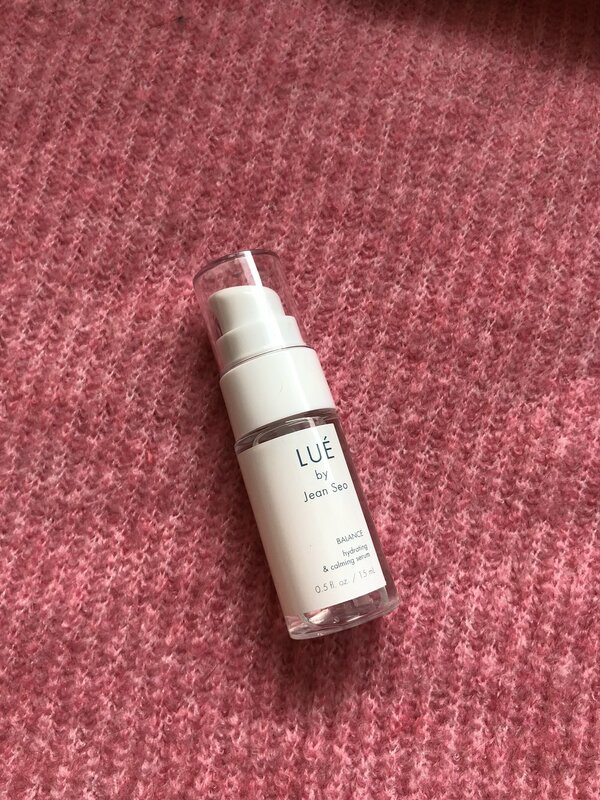 This serum feels so nice and gentle on the skin and has one of my all-time favorite skincare ingredients - hyaluronic acid! Although I've never heard of the brand, I tend to be pretty clueless when it comes to skincare brands so part of the reason I love beauty boxes is the opportunity to discover new brands! I love experimenting with lip colors so this product was a perfect fit, plus, the rich mauve-y shade is perfect for winter. Although this product’s staying power was not quite as good as the liquid lipsticks I tend to favor, it has an extremely light-weight, moisturizing formula! I love how unique this brush’s design is! I’m 100% a girly girl and I think a pink, sparkly brush is every girly girls dream. I’ve specified in my ipsy profile that I enjoy receiving make-up tools and brushes, so I love that Ipsy has actually listened and now sends me more brushes! I’ve been using this brush as a highlight brush but love the fact that it’s a versatile size and could easily be used for eyeshadow or blush as well. 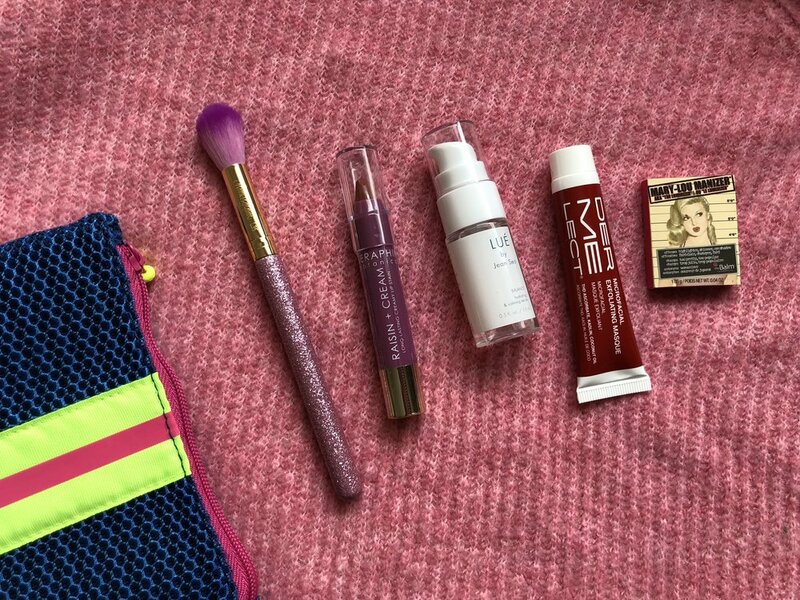 Overall, I’m really happy with this month’s ipsy bag! I love that they are truly sending me products that I enjoy testing out. Although no subscription box will necessarily be perfect at predicting each person’s preferences, I think my ipsy bags have continuously improved over time and I definitely appreciate that about them! What did you think of your first ipsy bag of the new year?